One of the hardest things to give up when going low carb are breaded and fried snacks. 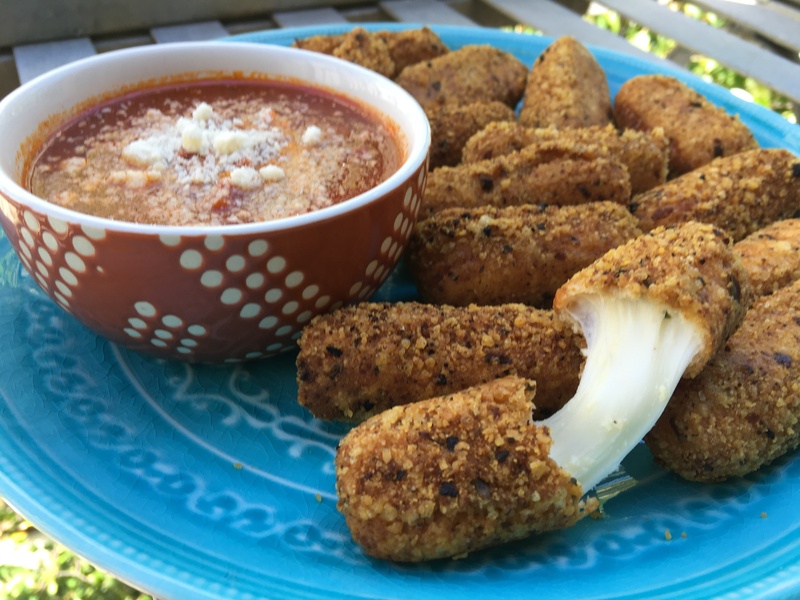 If you're ever hankering for a kid-friendly treat or savory appetizer, here's a delightful alternative to the carb heavy mozzarella sticks you love! So good, they'll make you wonder why anyone eats the carb-y ones! Serves 4. Ready in 50 minutes. Only 3 carbs per serving (5 sticks). Whisk eggs in a small bowl. Add salt and pepper. In a separate shallow dish, combine the dry ingredients. 2. 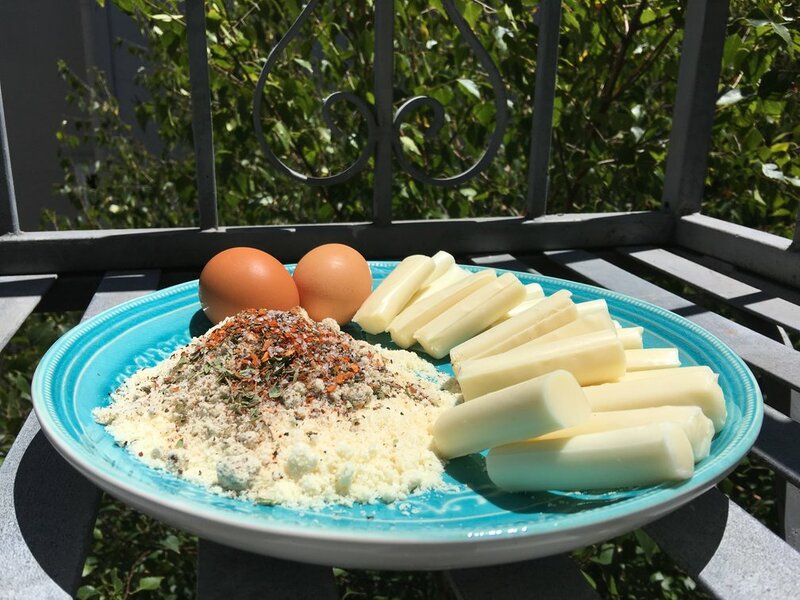 Dip each piece of cheese into the eggs, and then roll in the parmesan mixture to coat. Repeat for a double coat on each stick. 3. 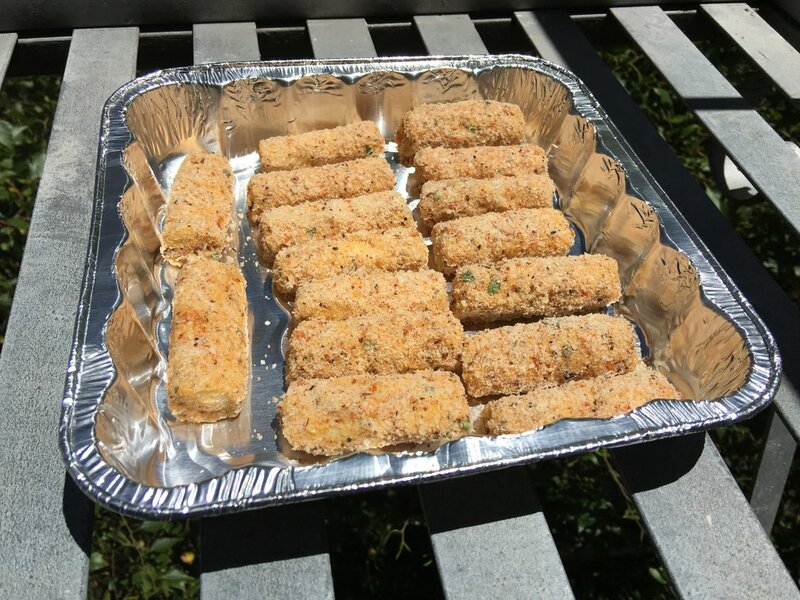 Place cheese sticks into a small rectangular dish or other container. Chill in the freezer for at least 25 minutes. 4. Heat about half an inch of oil in a frying pan over medium heat. 5. 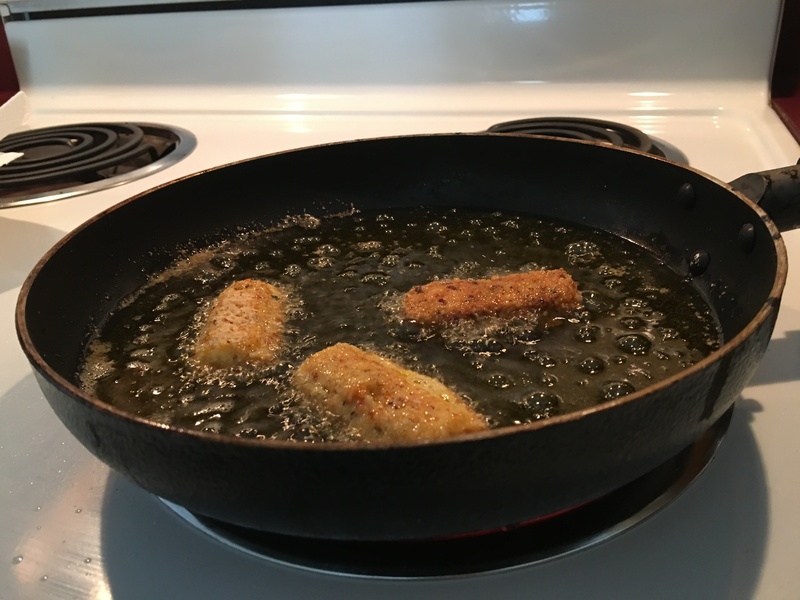 Fry cheese sticks until golden brown for about 60 to 90 seconds per side. Drain excess oil on paper towels. 6. Serve with a side of marinara sauce or alone. YUM! A delicious snack for the kid in all of us.